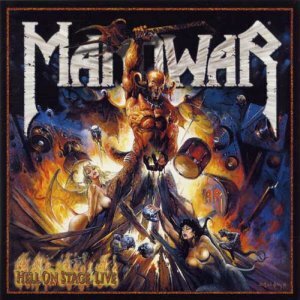 MANOWAR - HELL ON STAGE - LIVE (2CD) | Online Shop | Wizard LTD. Album: "HELL ON STAGE - LIVE (2CD)"
"Hell On Stage - live" from 1999 still undeniably symbolizes what a fan expects from a Manowar concert: pure energy and uncompromising power. The album contains recordings of the "Hell On Stage" tour and brings the energy of songs like "The Power", "Blood Of The Kings" or "Gates Of Valhalla directly into your living room. Awe inspiring is the way the fans can recite every single word of "The Warriors Prayer".